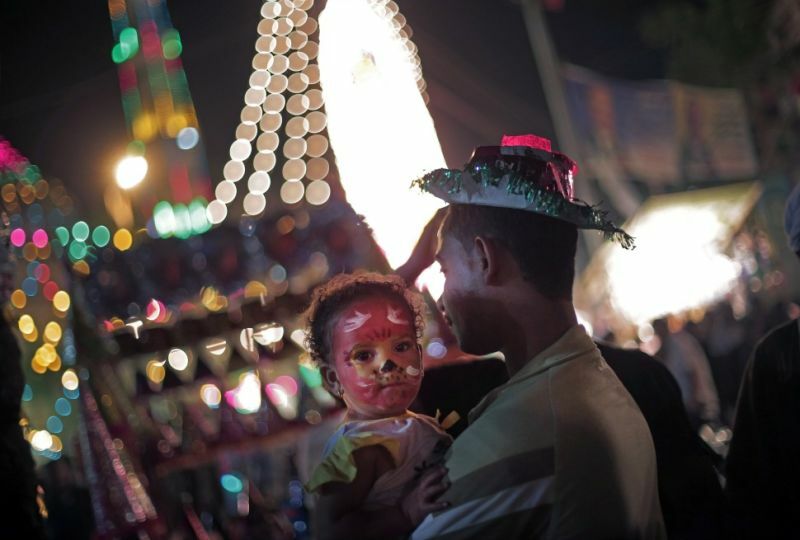 An Egyptian man holds his daughter on Tuesday as they celebrate Moulid outside the Sayyeda Zeinab shrine, in Cairo, Egypt. Every year, Egyptians celebrate Moulid, the birthday of the Prophet Mohammed's granddaughter, Zeinab. Image via Khalil Hamra/AP.